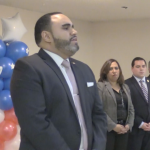 West New York Public Safety Commissioner Gabriel Rodriguez again slammed Mayor Felix Roque over the criminal pasts of some of his political allies, though Roque is calling it a diversion tactic since his opponents have no record to run on. “Recently, disturbing allegations have surfaced concerning his top advisors and their criminal pasts: Manny Diaz, his closest advisor and chief of staff – convicted of cocaine trafficking and spent time in federal prison,” Rodriguez began during a press conference at the New Beginnings West New York headquarters this afternoon. 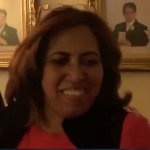 Rodriguez’s focal point of the presser was a New Jersey Globe report that pegged former Bergen County Democratic Organization Chair Joe Ferriero as the “de factor general consultant” in charge of Roque’s field and mail operations. “According to press reports, a disgraced ex-political boss, Joe Ferriero, is in charge of the Roque campaign. Someone who is known through the state as one of the most notoriously corrupt public officials in New Jersey history,” he exclaimed. Ferriero was convicted on bribery, fraud and racketeering charges nearly four years ago at the federal courthouse in Newark. Prior to his legal troubles, he was highly regarded for turning Bergen County blue in the early 2000’s, despite a Republican county executive and board of chosen freeholders. “Working with someone like that is absolutely unacceptable for our town,” he concluded. During the question and answer session with the media, Rodriguez fielded a number of inquiries asking what hard evidence existed to corroborate this report. He cited that story had cited 11 unnamed sources throughout town, also noting that he had been told the same thing a number of times before and after the report was published. Additionally, when we brought up that Roque had previously said that he believed in second chances regarding the criminal conviction of Manny Diaz, which was over 20 years old, Rodriguez said that it was important to remember the character of these individuals in question. In prepared response, Roque called the presser a diversion tactic, claiming that his track record far surpasses the two previous administrations. 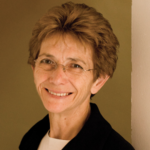 “Obviously, this is an attempt to falsely divert attention to the fact that they have no real issues to run on. The fact is that eight years ago, I inherited a town in financial crisis that had laid off 92 employees and had experienced a 51% tax increase,” he said. 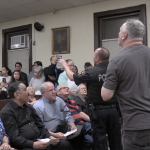 Roque also said that he was filing a complaint against the NBWNY team for what he called “using taxpayer resources for election purposes,” regarding a number of holiday-themed events at Town Hall sponsored by Rodriguez, along with Commissioners Cosmo Cirillo and Margarita Guzman. Rodriguez also accused Roque of misusing taxpayer resources via a campaign mailer that had the mayor’s letterhead on it, though he countered that it had a “paid for by the Forward with Roque” tag on the bottom. The mayor also took particular exception to the criticism of Diaz, reiterating his stance on second chances and further stating that he’s worked with the town for over three years and no one was has voiced a problem with that until recently. 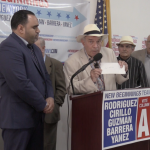 “Unlike the administrations before me there has never been an allegation of government corruption during my eight year tenure as mayor,” Roque said, taking aim at Sal Vega, who he defeated in 2011, and U.S. Rep. Albio Sires (D-8), another former West New York mayor. Vargas resigned as commissioner in January 2015 before pleading guilty to equity skimming in May 2016, where he was ultimately sentenced to three years probation. Roque has been indicted twice, once by the U.S. Attorney’s Office for computer hacking in May 2012 and again for commercial bribery in June 2015, but a jury acquitted him in both instances. 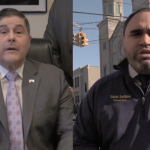 The latest bare-knuckle brawl in West New York comes after Roque called on the state Attorney General’s Office to investigate claims of electioneering, as well as to have monitors at the polls on Election Day. 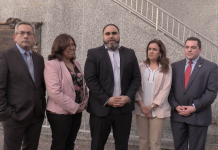 Rodriguez vehemently denied those accusations, explaining that he welcomes more authorities in town on May 14th in light of the company Roque keeps. Nevertheless, Board of Education Trustee Maite Fernandez, one of Roque’s running mates, said she will sponsor a resolution at Wednesday’s meeting asking Superintendent of Schools Clara Brito Herrera to issue a directive advising all school employees not to work for a political candidate. Herrera has also spoken out publicly on the matter, denying any legitimacy to Roque’s claims that BOE workers are being strong armed into working this election.